Matt Wieters made his long-awaited major league debut on Friday; however, it was overshadowed by Luke Scott's two home runs and 5 RBIs, as well as eight innings of work by Brad Bergesen. When all was said and done, their efforts helped the Orioles to their fifth straight win as they defeated the Detroit Tigers, 7-2. Luke Scott, perhaps one of the streakiest hitters in baseball, had his second two-run homer night in as many days. He hit a grand slam homer in the third inning, and then followed up with a solo shot in the fifth inning. Since the left-handed slugger has come back to Baltimore, he's had seven hits -- five of them home runs to bolster an offense which had been sputtering for a while. Nick Markakis drove in a run with an RBI single in the third inning, and Roberts had a sacrifice fly in the fourth. Meanwhile, Brad Bergesen had his best showing in the majors so far by going eight innings and giving up two runs on Friday night. He was efficient -- only throwing 105 pitches -- threw strikes, pitched to contact, and used his defense to get outs. He gave up two runs -- all in the seventh inning -- thanks to an RBI-single by Curtis Granderson and an RBI-groundout by Brandon Inge. Over the past week, there's been a healthy infusion of some youth in the Baltimore Orioles organization, and so far, the kids have delivered. Another young arm from Norfolk -- David Hernandez -- made his major league debut and impressed as the Orioles opened up their four game set with the Detroit Tigers winning on Thursday, 5-1. Luke Scott hit two home runs -- including a three-run shot in the 8th inning (he now has seven on the year) -- and drove in four to help Baltimore earn their fourth victory in a ro w. For the third day in row, Nolan Reimold homered -- a solo shot in the in 5th inning to break a 1-1 tie. Scott's first home run of the night came in the second inning. The Tigers have now lost five out of their last six games. The story of the night was David Hernandez, another arm in the minors who was thriving and earned a call up the majors. Much like Berken on Tuesday, Hernandez would get into trouble, pitch his way out of it, and keep his team in the game. When the night was done for Hernandez, he only allowed one run, five hits and four walks in 5 2/3 innings -- a solid and promising debut for a pitcher. He got into trouble in the fifth inning as Clete Thomas plated in a run. I want to bring up the topic of Daniel Cabrera, our former Oriole, who was released by the Washington Nationals on Tuesday. Well, it looks like the same problems that led to his release from Baltimore got worse in Washington, and he never seemed to improve at all. I know the complaints of him in Baltimore -- being a ten cent head, a lack of control, never developed, the walks, etc. -- but considering where he came from and the money he's made, I'd consider his life (not withstanding his baseball numbers) a success. There were times I thought he turned the corner (his start in New York at the end of the '06 season) and his solid two months in '08; however, he could never gain consistency, or learn the lessons from his solid to brilliant outings. We were all fooled at times into thinking that Cabrera could blossom, but also found himself lost. Simply, I don't think he ever learned how to pitch at all. On Tuesday, myself and various Oriole bloggers partook in a night on baseball, as well "MASN's Orioles Blogger Night" at Camden Yards. Well, over the years, I've been extremely curious to know what really goes on 'behind the scenes'; therefore, we got an crash course that evening. Needless to say, it's a lot of work, and there are far more people involved in the production of a telecast than I even envisioned. MASN Spokesperson Todd Webster, and Kristen Hudak served as our hosts and spear-headed the event. As we all met at the home plate entrance of Schaffer Plaza, we all met up and chatted about our blogs, the sport, MASN, and whatever came to our minds. We were quickly ushered up the press area, and while we didn't get to see the press box, we spent a few minutes with MASN broadcasters Gary Thorne and Buck Martinez, who were pretty candid. Nolan Reimold, who is still pretty much wet behind the ears in terms of his major league tenure, came through again today as he hit a game-winning home run (a three run shot) off Brian Wolfe in the 11th inning as Baltimore won on Thursday, 12-10, sweeping the three game set from Toronto. In between meetings and work, I caught snippets of the game via MLB.com audio and figured after the Orioles were down 7-3 to Roy Halladay in the fifth inning, I assumed the game was over and resumed my day. However, I managed to turn on the radio out of curiosity in my car as I left the office -- mainly to find out what the final result was around 4:30pm -- and to amazement, the game was still going on! The Orioles had come back thanks to a five run rally in the eighth; however, they blew a golden chance to take the lead as Nick Markakis plated the tying run, but an aggressive Adam Jones got thrown out at home. I am all for Matt Wieters coming up to the majors, being annointed as the savior of the franchise, selling tickets and walking on water; however, for all my excitement -- will he make the team better? Not really -- at least now? I do love that the best prospect in the game will make his debut in the black and the orange on Friday against the Tigers, but the influx of young talent -- more than anything, the young pitching -- will determine how far we go. The timing of the announcement was a little odd in my mind, but hey, the team needs buzz, attendance is sagging and was only above ten thousand yesterday; however, as Andy MacPhail said, "it's about time". Baltimore is not going to contend, and the organization might as well bring up the arms who are performing on the farm. Let's see what everyone has got. Yesterday afternoon, the ESPN Zone at the Inner Harbor in conjunction with the Baltimore Orioles held their second Q&A Session with first baseman Aubrey Huff. I've been going to these events for years, and I'll say the crowd at the popular restaurant was the biggest I've seen in long time -- save for Nick Markakis and Erik Bedard years back -- as every seat was practically filled and standing room only (barely). The overflowing crowd and the candor of Aubrey Huff made the event memorable as he was pretty much direct and open about his life along with his humble beginnings, career, and yes, the infamous fist pump a few Sundays ago that involved Yankee fireballer Joba Chamberlain. After the Q&A, he signed autographs for the huge crowd in an auxiliary room in the restaurant. Last night at Camden Yards, the winds of change -- literally and figuratively -- were in the air. The big news yesterday was not the victory that Baltimore had over Toronto, but it looks like the youth movement and the future of the organization will be showed in the weeks and months to come. In other words, the future is now. Rookie pitcher Jason Berken -- who was not even given an invitation to Spring Training -- was effective as he gave up two runs in five innings of work earning his first major league win. He did get touched up early and missed his spots at points; however, he battled throughout his outing and kept Baltimore in the game. Nolan Reimold hit his first Camden Yard homer in the eighth inning, and Aubrey Huff added a solo shot -- his his 8th -- in the second inning. Brian Roberts drove in two runs, with Jones hitting his 11th home run -- a two run shot -- to give Baltimore the lead in the fifth inning. After keeping the prodigous offense of the Washington Nationals to only three runs in two games, the Baltimore Orioles could not contain their opponents as Washington slugger Adam Dunn had a career day with two home runs and six RBIs; therefore, in the end, the Orioles lost to the Nationals in the final of a three game series, 8-5. Both rookie starting pitchers on the afternoon -- Washington's Shairon Martis and Baltimore's Brad Bergesen -- struggled. Bergesen went 5 2/3 innings, allowing four runs on eight hits -- meanwhile, he collected his first ever major league hit in the third inning. Shairon Martis allowed five runs on seven hits, walked two and struck out two. Veteran Ron Villone would earn the win as he tossed a scoreless inning, while Chris Ray would take the loss for Baltimore. It looked like Baltimore was well on their way to sweeping Washington as they took a 2-0 lead in the third inning as Nick Markakis hit a two-run triple, and Aubrey Huff added another run with a RBI single in the fifth; however, Washington would rally back. What started off as a lovely Memorial Day with the sun out and warm ended as a grey, damp, soggy afternoon; however, the Orioles overcame the poor conditions out and defeated the Blue Jays, 4-1, to kick off the three game set at Camden Yards. Honestly, I thought the game was going to sent into a rain delay, but for some reason, the umpires decided to make a go of it, and both teams did complete the game. Jeremy Guthrie had to endure some horrific conditions on the mound -- specifically towards the end of the game -- to earn his fourth win of the season. He performed like a trooper as he went seven innings and only yielded a single run -- via a RBI single by Vernon Wells in the first inning. Meanwhile, Guthrie's opponent on the mound -- Brian Tallet -- went six innings and gave up two runs in a solid performance, but took the loss. George Sherill got the save -- his 10th. For the second night in a row on the banks of the Anacostia River in Southeast Washington, the Baltimore Orioles defeated their rivals down 295 -- the Washington Nationals -- by a score of 2-1. The Orioles only mustered three hits on the night against National pitching, but a critical pinch-hit triple by Aubrey Huff in the seventh inning -- who had been mired in a 1-for-18 slump before his at-bat -- off National reliever Ron Villone to break a tie at one made the difference on Saturday night. Baltimore once again got another strong pitching performance from their arms, but starter Koji Uehara only lasted three innings and left because of a sore hamstring. To add the situation with Uehara, Roch noted in his blog that the hurler may have gotten tired too and a tad dehydrated pitching in the humidity last night. He didn't allow any runs on the night, and Brian Bass came in to pitch three innings of relief and earned his third win. George Sherrill pitched a scoreless ninth, striking out the side to earn his 9th save. Bass gave up a run in fifth inning as Cristian Guzman hit a solo home run -- his second -- to the game at one. In life and as in baseball, there are times when it is full of surprises, and last night in Washington D.C. was no exception. If one was a betting man, would you have thought Danys Baez would ever serve as an offensive hero at all? Well, Baez's first major league single ignited a two-out rally in the 12th inning that setup the winning run as the Baltimore Orioles defeated the Washington Nationals, 4-2, in the so-called "Battle of the Beltways". After Baez's single -- it was more like a fluke swinging bunt that barely got 20 feet past the mound and Baez (for a guy his size) ran hard to first -- Brian Roberts followed up with a double, and Adam Jones hit a two-run double to make the difference on Friday night. Jones, who came back during the Yankee series due to a sore hamstring, was the offensive star of the game with 3 RBI's and three hits. The New York Yankees won again and swept the Baltimore Orioles in their three-game set up in the Bronx, 7-2. Well, the game started ugly and Adam Eaton gave up seven runs in the first two innings to pretty much put Baltimore out to pasture. The Orioles did chip away at the lead, thanks to Brian Roberts and Nick Markakis both hitting solo home runs and a Ty Wigginton two-run double, but they were out done by the Yankee offense again, but this time early. I'm just glad Baltimore is out of there and don't have to face the resurgent New York juggernaut for a while. Eaton took the loss, while his opponent, Joba Chamberlain left the game in the first inning after being hit on the knee by Adam Jones. There was no huge rematch between Huff and Chamberlain, though the first baseman did single off the demonstrative pitcher. 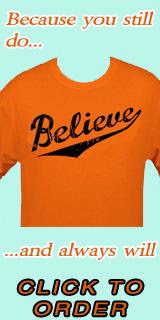 O's Lose to the Evil Empire, Something Wrong With Guthrie? What started off as a competitive game turned into a real ugly night late as the Orioles dropped their second game to the Yankees in their three game set, 11-4. The game displayed lots of power -- six home runs, three by each team -- however, the game was blown wide open as the Yankees jumped all over relievers Danys Baez and Jamie Walker in a six-run eighth inning. One has to wonder if there's something wrong physically or mechanically with Jeremy Guthrie. Our defacto ace has looked nothing like the pitcher we have seen in the last two years in the past month, and it may be a a cause for concern. Whether he's just not hitting his spots, or what, the results have not been good. He took the loss on Wednesday, as he went seven innings and gave up five runs; however, despite his poor start -- giving up four runs in the first two innings -- he settled in and got his work done. The Baltimore Orioles knew that making the trek up north to the Big Apple would be tough; however, on Tuesday for about 2/3 of their contest against the Yankees, they stayed competitive but fell victim to an overwhelming New York offense. New York scored seven runs in the bottom of the seventh inning -- aided by two critical Baltimore errors (a throwing error by Andino and Jones) -- and they wound up on top defeating Baltimore, 9-1. Brad Bergesen -- who started the game for Baltimore and took the loss -- changed his jersey number from 64 to 35 (Mike Mussina's old number) and pitched well as he gave up four runs in 6 1/3 innings. In the first inning, Bergesen made a mistake and gave up a long two-run homer to Alex Rodriguez that gave New York a 2-1 lead. Baltimore would hold them scoreless until the seventh inning, as Bergesen found himself out of the game after walking two to start off the frame. Sadly, Chris Ray would come into the game in hopes of getting the final two outs in the seventh inning, but he would torch that idea by giving up a two-run double to Derek Jeter, an RBI single to Johnny Damon, and then a two-run homer to Mark Teixeira. After taking two of four from Kansas City, the Orioles travel north to face the Yankess for three games, and then head south on a quasi-road trip down 295 to face the woeful Washington Nationals this weekend. The Orioles have run into the Yankees at the wrong time, sadly. New York is in the midst of a six-game winning streak, and Alex Rodriguez, Mark Teixeira, and Johnny Damon have all found their stroke as of late and are now one hell of a dangerous squad. Furthermore, Baltimore faces C.C. Sabathia in game one of the series and as we all know, he touched up on him during Opening Day; however, he dominated us only a few weeks ago at Camden Yards. The Orioles this weekend took two of four from the suddenly tough Kansas City squad, as they won on Thursday and Saturday, while they lost on Friday and Sunday. Baltimore's offense had some bright spots, but struggles late Koji Uehara (he definitely hits a wall during the mid-point of a game) and by the bullpen on Sunday caused them to split the series. If there was a bright spot from the weekend, it's definitely Rich Hill. The southpaw -- who made his first start in well over a year -- was not lights out, but was solid as he went 5 2/3 innings and allowed two runs on seven hits, while striking out. He could have been better, but a bloop double down the left field line by Alberto Collaspo in the fifth inning led him to yield those runs. Sorry for the lack of posts the past two days, but I have had deal with a lot of personal stuff. After a decisive victory on Thursday and a loss to Zack Grienke -- right now, the absolute best pitcher in baseball -- on Friday, the Orioles will try to hit pay dirt on Saturday as Rich Hill returns to the majors. We need all the pitching help we can get, and if Hill can be good in Kansas City as he's been in the minors, the Orioles would have done well. Most fans know we are in a rebuilding process, and one member of the team gave his thoughts -- Adam Jones. The center fielder spoke to ESPN's Buster Olney not only on the rebuilding, but also his injury, and the state of the team. There's really no need to discuss what happened last night in the ninth inning. The Orioles lost 8-6 to the Rays in a game that was not as close you'd think. Baltimore scored four times in the bottom of the ninth to close what had become a six run deficit thanks to home runs by Roberts and Pie; however, the bullpen -- mainly Bob McCrory blew the game wide open. With the Rays leading 4-2 in the ninth, Bob McCrory came in and suddenly forgot how to throw strikes; moreover, the Rays pounded his fastball and put it in play for hit after hit. When all was said and done, McCrory gave up four runs, allowed three hits, and walked four in the course of 1 2/3 innings. After the game, he was sent down to Norfolk and Nolan Reimold -- who has been nothing but scorching hot in in Triple-A -- is now in the majors. Brad Bergesen took the loss on Wednesday as he gave up four runs in 5 2/3 innings. Jeff Neimann won the game for Tampa as he went five innings and only gave up two runs. 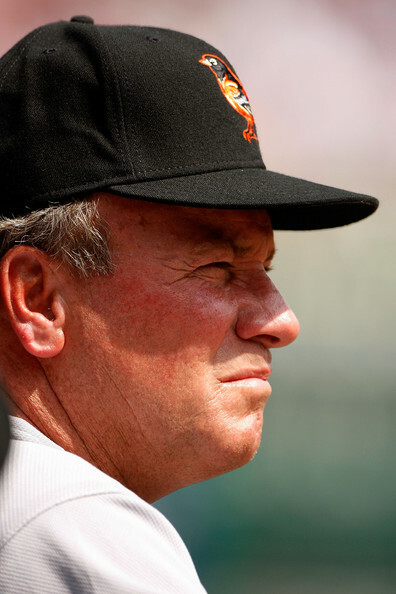 The Orioles got hit by the injury bug again as Adam Jones hit a sure double to right field in the second inning that drove in a run; however, he had trouble running to first, and was pulled from the game a minute later due to a sore hamstring. It is unknown if Jones will go the disabled list, but with Luke Scott ailing with a bad shoulder, and Pie being out sick -- food poisoning, although he was summoned to play after Jones went out Wednesday -- the outfield situation is definitely in flux. Orioles Down Rays, 7-5; Adam Jones: Star in the Making? To see the change with the Baltimore franchise, you can look at the progress of one player: Adam Jones. He served as a main catalyst in yesterday's victory over the Rays, 7-5, as he hit two home runs and drove in four runs in the winning effort. Baltimore's bullpen bailed out Mark Hendrickson -- who was nothing but terrible and only lasted 2 innings and gave up 5 runs -- and shut down Tampa Bay. Hendrickson was solid in his last start -- granted it was only over three innings -- against the White Sox; however, could his time in the rotation be coming to an end? With the positive news coming out of the farm, Hill has done mighty fine in his rehab, and should be back up this weekend for the series against the Royals in Kansas City. Mark has been a good soldier, and perhaps was ill-suited to start, but the Orioles needed an arm. I'm sure he'll be sent to the bullpen, or be a swing man in the rotation, but something needs to be done about the pitching effort when it comes to this team. This afternoon, Sports Illustrated came out with their list of their five best and worst owners in sports, and three local men -- Peter Angelos in Baltimore (owner of the Orioles), Ted Lerner (Nationals) and Dan Snyder (Redskins) -- all made the list of some of the worst owners in their respective sport. Well, Peter Angelos -- who has been the object of much scorn and consternation among Oriole fans and the media for years -- occupies the "worst owner" tag in baseball. Obviously for those who follow the black and the orange, this is not a surprise. It was a wonderful day for a ball game in Baltimore; however, when it was all said and done -- Koji Uehara pitched a great game, but his bullpen lost the game -- the Yankees took the three game series by defeating the Orioles, 5-3. Baltimore might have lost, but Aubrey Huff made quite an impression on the New Yorkers and specifically, Joba Chamberlain. The demonstrative Joba Chamberlain was on the mound for New York, and the Orioles jumped on him for a 3-0 lead. Baltimore started off the frame by Brian Roberts and Adam Jones got on base, and then Aubrey Huff hit a memorable home run by taking a Chamberlain offering to center field. Then in perhaps of one the most animated and funny celebrations I have ever seen, Aubrey Huff did a ridiculous fist pump -- first at rounding first and then at home plate -- to seemingly show up Chamberlain, who celebrates a huge moment with by doing it. Did Chamberlain see Huff's display of affection -- maybe; however, his antics perhaps have irked many around baseball and it might be served as comic relief for Huff and the Orioles as well as giving the hurler the finger. Then again, it also might have urged the Yankees to get back into the game and overtake the Orioles. Here are some pictures from last night's impressive win over the New York Yankees. The Oriole offense really came alive and tagged Phil Hughes for an eight-run second inning, as well Adam Eaton pitched well enough for the well-deserved win. We'll go for the series win this afternoon as we face off against Joba Chamberlain, and Koji Uehara is the mound for Baltimore. Last night, the circus -- I mean, Alex Rodriguez and the Yankees -- came into town, and the scene at Camden Yards was nothing short of a spectacle. In the end, the Yankees downed the Orioles, 4-0, and probably one of the most compelling athletes of all time -- Alex Rodriguez -- made a triumphant comeback and C.C. Sabathia had a banner outing on the mound. Basically, the Orioles had no chance in this game -- except for Sabathia putting on two runners in the ninth -- as the big, portly lefty got his first shutout of the year and tossed a complete game, only allowing four hits and striking out eight. The spotlight along with the eyes of the collective sporting and media world were on the beleagured Alex Rodriguez combined with all the pressure on him with the Yankees' poor start along with the drug allegations levied against him, everyone in the park was waiting to see how he would react. Fans were either in support of him -- mostly from the Yankees side -- or showed their disapproval with signs and some creative props including Styrofoam syringes, and a creative display that two fans held right behind me. Here are some photos from last night's Minnesota-Baltimore game where we eecked out a narrow victory. Lou Montanez singled in Mora in the bottom of the eighth inning and then George "The Brim Reaper" Sherrill looked liked the closer of old for one night getting Justin Morneau to fly out with Joe Mauer on first base. There was also a special guest at the Yard last night -- 'the Ironman' Cal Ripken. He sat right behind home plate observing the action and stayed until about the eighth inning. Well, he was flanked by ushers throughout the game; therefore, there was little to no interaction between and fans. However, during a break between innings, there was a nice little video vignette of Cal Ripken's career and he acknowledged the faithful at Camden Yards once it was done. Cool to always see him in the stands taking in a ball game with his busy schedule. 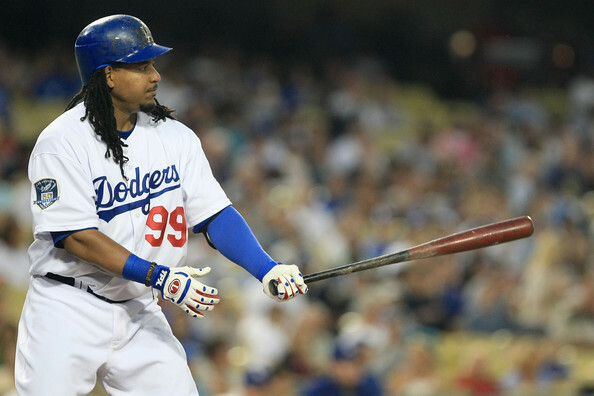 Manny Ramirez Suspended 50 Games For Drug Use! Wow. I guess we really can't believe anyone says when it comes to the sport of baseball! Another star -- a sure-fire Hall of Famer -- bites the bust, and his legacy is more than likely destroyed, unless there's something we don't know about. After a deflating loss to Tampa on Tuesday afternoon that saw Koji Uehara lose despite a strong effort, the Orioles rebounded last night and won in a rain-shortened game defeating the Minnesota Twins, 4-1, in six innings. It was sloppy, wet, and miserable, but the Orioles pulled it out. Since the Twins are only in town once it looks like Major League Baseball did their best to try to get the game in. Both Baltimore and Minnesota fought through four -- yes, four rain delays -- but the home team came through in the first inning as Nick Markakis hit a two run homer and then Luke Scott drove in a run with an RBI-single. They added another run in the 4th inning as Luke Scott hit a solo home run to put Baltimore up 4-1.